The Honourable Denis Lebel, Minister of Infrastructure, Communities and Intergovernmental Affairs and Minister of the Economic Development Agency of Canada for the Regions of Quebec, on behalf of the Honourable Leona Aglukkaq, Minister of the Environment and Minister responsible for Parks Canada, is pleased to announce that, in celebration of Canada Day, lockage on Quebec’s historic canals will be free all day on July 1st for the first time. Parks Canada’s heritage waterways played an important role in Canadian history and enable communities and visitors to discover beautiful landscapes, enjoy outdoor recreational activities and connect with nature. As tourism destinations, they are also economically important to the regions in which they are located. 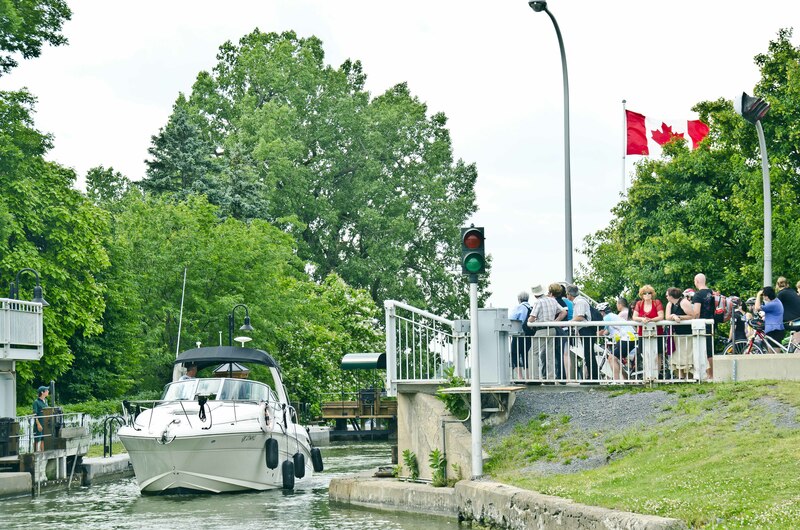 Throughout the 2015 boating season, Parks Canada welcomes boaters to the historic canals. Visit the Lachine Canal to enjoy Montreal’s major events, like the spectacular fireworks shows right on the water, or head to the Chambly Canal, where special events and activities will be featured all summer long in celebration of the 350th anniversary of the Carignan-Salières Regiment. Through initiatives such as these, Parks Canada supports the government’s National Conservation Plan by providing Canadians with opportunities to connect with nature. · Until June 30, boaters who purchase a single lockage permit will receive a coupon for a second pass free; 2 for 1 coupons are available at all lockstations. · Considered one of the world’s most beautiful waterways, Parks Canada’s historic canals in Quebec welcome more than 1.5 million visitors and host more than 200 activities each year. · Check out Parks Canada’s Website for information about the events taking place within the Quebec Waterways this summer! To learn more about the lockage schedules on Parks Canada’s heritage waterways in Quebec, please visit www.pc.gc.ca/canals and click on the destination of your choice.